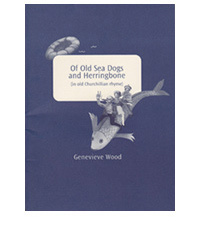 Genevieve Ella Wood was born April 10, 1918 in Utica, New York. For the next 92 years (almost! ), until February 5, 2010 in NYC, she climbed trees, scaled and flipped baseball cards with the boys, discovered the music in poetry, romanced, went to college (University of Wisconsin, Northwestern), and joined the Navy. She was in the first group of women inducted into the Waves in World War II where she served as Morse Code radio operator. Later, she worked mostly in publishing. Starting in her post-Navy years, in the early 50s, she wrote…and wrote…and wrote. She never seriously sought to have her poetry, plays, novels, and other work published. Most of her work was never seen even by her closest friends and colleagues, although it stands with some of the poets she most admired—Edna St. Vincent Millay, Emily Dickinson, Dorothy Parker, and others. Purple Scooter Poetry is proud to bring her buried treasures to light. 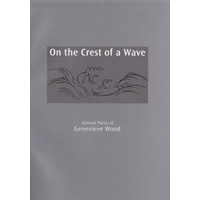 Gen Wood was a private person, a soft-spoken, gentle soul who liked her solitude and her evening “spirits.” She had a caustic wit and tongue, loved love and was intrigued by the nature of it. She couldn’t abide pretension, hypocrisy, euphemisms, or shrillness. She seldom showed emotion openly—her emotional life was in her writing. She was passionate about words, rhyming, and the sound of words. She speaks about love and death and life with direct unique language and imagery that is often breathtaking. Her laugh-out loud humor, playfulness, and double meaning are delightful. She loved the ocean, and much of her writing reflects that. Her work shows an acerbic wit and wry humor, a powerful sense of the absurd, and is always honest, sensitive, and intelligent. She prided herself on telling it “like it is,”—and sets a high standard for simple, lyrical language. I touch you and I turn to gold! Lightface, boldface, set flush right! If thou love me, then I love thee. Burned infinite candles at infinite ends. Proceeded to have cold Blaise indîcted. Of how fast friends become fast foes. La, Ann, what a conviction. Part II, called Castles and Sand, contains six long pieces that develop themes large and small of importance to the writer – a dramatic interpretation of a case at law…a tribute to a teacher who mattered greatly…a novelty performance piece about a hermit named Herman, a cacophony of delightful sounds and rhythms…two themes on love…and a surprising flashback to childhood. A novel case on file. “His driving urge, to beat the light. How fast his motor idled. Horsepowered, at the starting gate. 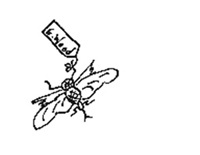 The jury’s hearts were wrung. The jury’s heads were hung. “Try not to hang yourselves,” he said. Low and sad, bong, bong! High and glad, dong, dong! Part III, Hobeau, was written in 1981 (17 pages) as a tribute to the poet's father. This celebration of Father’s Day takes on new meaning that lifts the spirit and imagination. It is an intensely personal “mini-memoir” filled with insight, loss, joy, and rich remembrance. ankle, he knew how to tape it up. Fast, neat, firm—gentle. How’d he know that? “Rode the rods, kid, in my hobo days. Lots of accidents, jumping freight trains—sonuvabitch! duty in a crazy war. vast his pride in the results. Mirrors, they were. 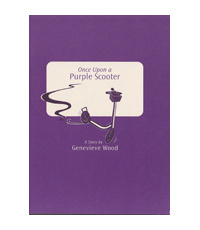 Once Upon a Purple Scooter, written in the 1970s, evokes a special time in American history, when the world was completely different. But the experience of growing up—the yearnings, the thrills, the loneliness, and the intrusion of harsh reality into everyday life—has not changed. “Today, sitting astride the peak of the roof, turning her face to the sun, closing her eyes, Theo was at peace. The shingles were warm against her legs. And it was Friday—which meant that tomorrow was movie day, the best day of the week. 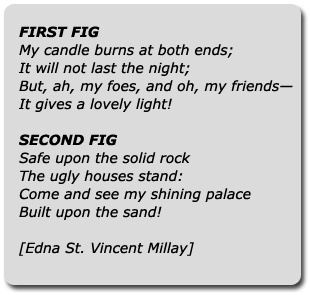 “She returned to the steps and opened her precious yellow box to make sure its contents were in perfect order. The edges of the neatly filed cards were white, gray, and almost black. The newest ones were white, the gray ones were her favorites, and the almost-black ones were the gambling cards—the ones she liked least and wouldn’t mind losing—their corners crumpled or missing completely. “The gambling cards were for flipping and scaling. Flipping, Theo explained to her faithful audience, is when you snap one out into the air and it turns over and over until it hits the ground, landing face-up or back-up, heads or tails. Then if you match the other guy’s card, you win his card. Simple. A market of seawide renown…. So begins a whimsical wacky adventure on the high seas as arch rivals Russia and Great Britain battle each other, armed with fatal fish, witty wordplay, and preposterous puns. This hilarious poetically demanding work sprang from Gen Wood’s imagination after reading a 1952 AP wire clip about a non-military deal between the USSR and GB involving a huge exchange of seafood. An unlikely trio—Winston Churchill and the Duke and Duchess of Windsor—embark in a shaky vessel to save the day. Young Edward caught a nasty cold. I caught a bit of gout. Who is fairest of us three? Who is fairest on the sea? Is fairer far than your portrait. “To port! To port! A periscope! A lean and red-eyed periscope. The conning opened with a bang! Was echoed by triumphant young. Edward coughed. And so did I. By a trigger-happy bruin cub! Parentally mad and doubly dialectic! To leave that angry place. As the giant said of Jack. AND SALTS US DOWN TO SARDINE SIZE. Kid Hadaway a play written in 1958-60, is an exposé on pretension. Everything is fair game for Wood’s satirical wit—education and its excesses, love, parenthood, friendship, and marriage, birdhouses and bulldozers, precocious kids, the meaning of “home” and “household.” The texture of everyday life is revealed by chance encounters of a zany cast of characters who enter and depart an unusual house warming party literally through a hole in the wall. Robert Frost wrote that “Good fences make good neighbors” but in this case a hole in the wall works even better. The black eye-patch vogue of the 50s is one of Kid Hadaway’s most hilarious, striking images. That and the crisp classy Hathaway shirt worn by discerning men and boys at that time. So when she tumbled off the wall.. Brains outwit the pretty faces. 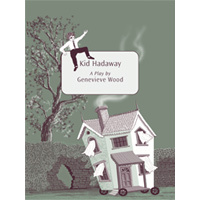 The plot of Kid Hadaway unfolds through a variety of unlikely situations, random interactions, and surprising intrusions of 1950's television commercials--all offered up in high style and inventiveness, on a path of unpredictable twists and turns. Everything is what it seems, and nothing is. Like most plays, this one is written to be spoken, but readers will be rewarded whether they speak it or read it. Even though it was written half a century ago and has not been made public until now, this play has a delightful, engaging quality that resonates in our own time.